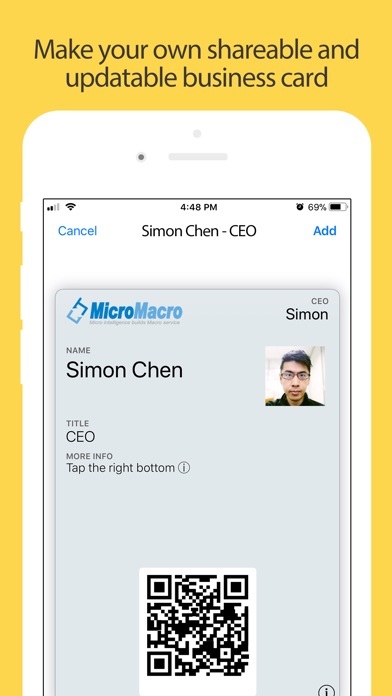 IOS App Developer: MicroMacro Mobile Inc.
Pass2U Wallet makes you add and manage all of your cards/tickets in Apple Wallet easily. 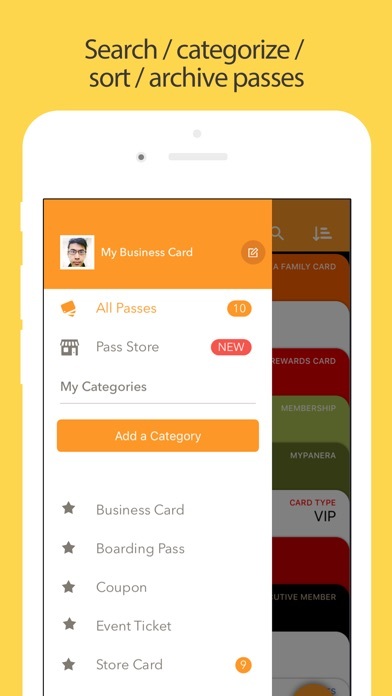 ○ All Passes/Cards: You can add store cards, membership cards, reward cards, coupons, stamp cards, movie tickets, boarding passes, business cards, identity cards, community cards, gift cards, event tickets, transportation tickets, receipts, and etc., into Wallet. 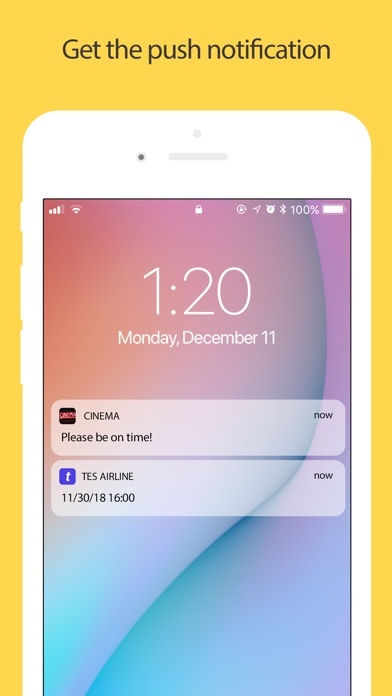 ○ Easily Create Passes: You can scan the barcodes of paper tickets/ plastic cards, manually enter the barcodes, read the barcodes in photos, or directly apply the pass templates on Pass Store to create Apple Wallet passes. ○ Effortless Management: You can search keywords, sort, delete, archive the different kind of Wallet passes which are created or issued by Pass2U. ○ Get Notifications Properly: You can enter event date or locations when creating a pass. It will show up the notification when you’re near the locations or close to the event date. 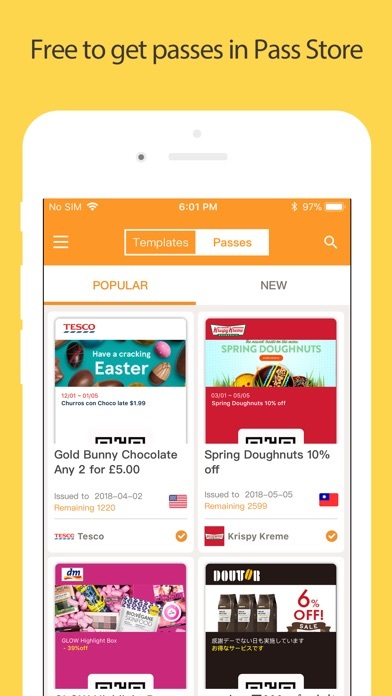 ○ Pass Store: You can directly apply the pass templates or design the templates you like. You can also can update, delete, or preview the templates. Some features are included in Pro version. [ Frequently Asked Questions ] 1. Why aren't some barcode types used on Apple Wallet passes? Since Apple Wallet passes only support the barcode type listed below currently: One-Dimensional (1D) barcode: Code 128 (not supported by Apple Watch) Two-Dimensional (2D) barcode: QR code, Aztec code, PDF417 Other types of the barcodes can not be displayed in barcode area of Apple Wallet passes. If the barcode on a pass can’t be read normally, please ask the merchant manually enter your barcode content to redeem. [Noted] Pro Version: When scanning the barcode types (Code 39, Code 93, Code 39 Mod 43, EAN 8, EAN 13, UPC E) which are not supported by Apple Wallet, they will be converted into strip images and displayed on the top of store cards or coupons. 2. 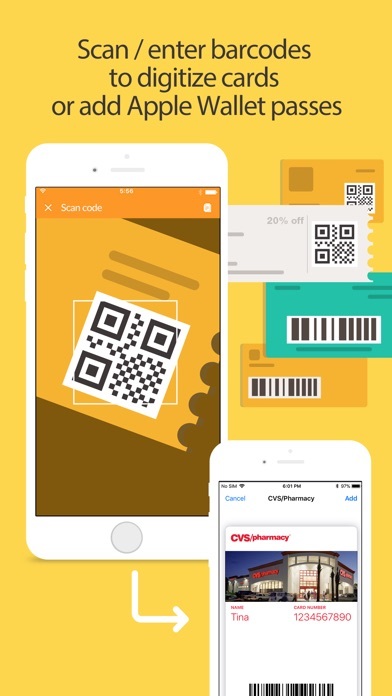 Why can't some merchants read the barcodes of Apple Wallet passes? Since some merchants still use old barcode scanners which make other barcode types unable to be read. You can ask merchants manually enter your barcodes. 3. How can I backup all of my passes? You can go to setting of iPhone > Apple ID > iCloud > turn on Wallet. Once you would like to use another iPhone, you can log in with the same Apple ID and turn on Wallet for iCloud. 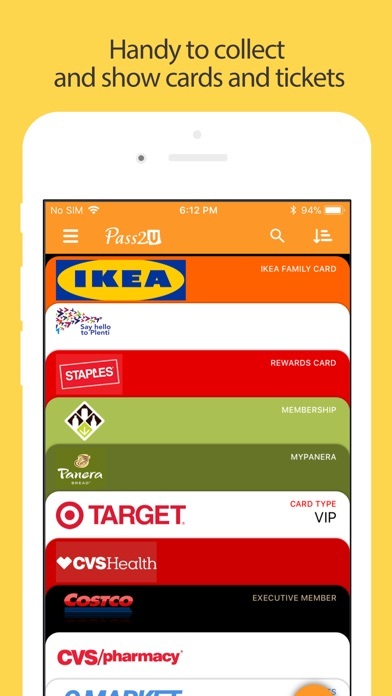 Then you will see the passes issued by Pass2U on Pass2U Wallet. 4. How can I issue a lot of passes? You could go to www.pass2u.net to design the models and send the passes to your customers. If you have any comment or feedback about Pass2U Wallet, we’d love to hear you at contact@micromacro.com.tw. Now share Pass2U Wallet with friends to experience nice features and ease your life! Pass2U Wallet concerns users’ privacy, support, and feedback. They encourage us to release more useful and fun features. Started looking for a way to get a refund 5 minutes after I bought it... Still havnt figured out how to get that refund. I have the pro version. I’ve made 6 cards so far. Fantastic right? No! They all group together in the Wallet app like I bought tickets to the same event in Ticketmaster. It’s annoying and I’ve sent customer service several emails with NO RESPONSES! Works great for me ! Very handy app! It did take a little trial and error to find the correct background color and font color but otherwise this does exactly what it’s supposed to do. I had several QR codes for tickets that just would not transfer and this app worked perfectly to get them to my Apple wallet. Trying to scan in airline membership cards. Unable to because of the above error. App seems great and might be, but you can’t enter information in after you create a template. I’m going to guess that’s it’s a bug, but really annoying and I will probably delete and move on from this app. This app is so poorly designed and programmed that entering cards would take hours. Saving text should not take 10 seconds. 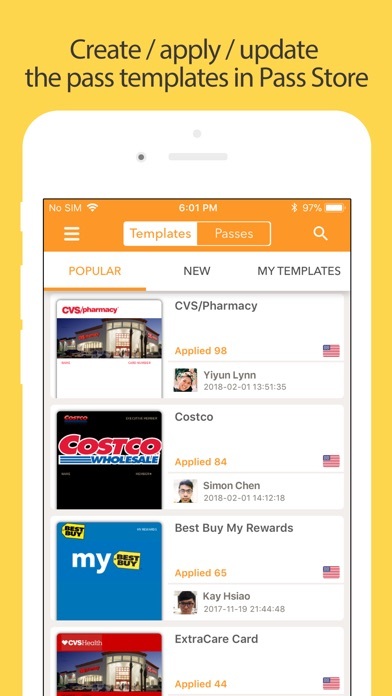 Want to use this app for its stated purpose of storing barcoded loyalty cards? Too bad, that’s a pro feature only. Uninstalled in 60 seconds. Thanks but no thanks. More IOS Apps by MicroMacro Mobile Inc.